Latisse™ is a safe method for increasing the volume of eyelashes. It’s FDA-approved, meaning it does what it says it does – treat a deficiency of eyelash growth. Side-effects are few, rare, and not serious. But despite being a safe and effective eyelash treatment, Latisse™ is not something you should attempt on your own. You may hear about websites and salons offering Latisse™. It’s tempting to buy it so quickly at discounted rates, but that’s not wise, as we’ll explain. What about asking for Latisse™ through a general physician? Caution is in order here, as well. Not all doctors prescribe Latisse™ properly. Some facilities have actually capitalized on the craze by prescribing it right and left via mail-in orders without actually seeing a patient in-person. Being FDA-approved also means Latisse™ is FDA-regulated. You should not get it without a doctor’s prescription. If the Food and Drug Administration deems a medication not safe to use without a prescription, that doesn’t just mean at-your-own-risk. It means you need to be cautious about who is supplying the drug. If complications do arise, you need to have a qualified and experienced professional you can visit for assistance. Not all over-the-counter Latisse™ providers give accurate information on the side-effects and results of the product. We love to see our clients here at Kami Parsa M.D. 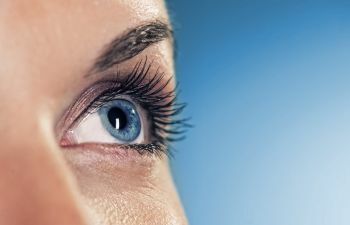 have beautiful and healthy eyes. We’re happy to help you make enhancements to your natural beauty, but we want to see you do so safely. That’s why you should only use Latisse™ at the recommendation and direction of how Dr. Kami Parsa prescribes it’s use. Contact us today to schedule a consultation if you think you’d like to grow more lashes with the help of Latisse™.